With Christmas coming up, you’re likely to be putting on a wide variety of events, not forgetting the annual Christmas party. Planning may also be taking place for the first few events of the new year. Here at Solid State UK, we have put together some tips to help take the stress out of event planning. Keep reading for more. 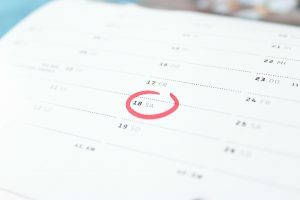 The timescales for your event will vary, depending on its size, some events can take up to a year of planning, whilst smaller events may be around 3-6 months. Of course, these timescales will also fluctuate depending on the size of the team working on the project and the features used at the event. The cost of planning your event will depend on your personal preference and the elements that you would like included. If you are unable to cover the full cost of the event upfront, you may consider inquiring about payment plans to help you spread the cost over an agreed period of time. As well as the most obvious things to plan for when putting on an event, such as the venue, you will also need to consider the smaller details such as the kind of tablecloths and chair covers you would like to use. If you can, try keeping everything under one umbrella and use an events company that has a linen hire service, this will save you liaising with several companies throughout the planning process. Here at Solid State UK, we offer payment plans from as little as £10 per week, as well as linen hire and commercial laundry services, ensuring that your items are fresh and ready for when you need them. If you would like to find out more about our wide range of services, please get in touch. Call today on 0116 2885956 or fill out our online inquiry form.